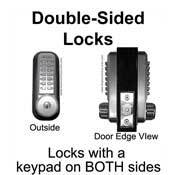 These double-sided keyless locks have a keypad on both the outside and the inside lock bodies. 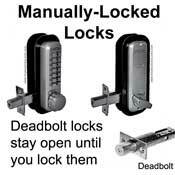 This means that you will need to know the combination if you want to open the double-sided door lock from the either side. 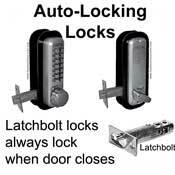 We also carry single-sided door locks.